Pope John has been blessed to have Msgr. O’Brien as our Pastor since 2007. 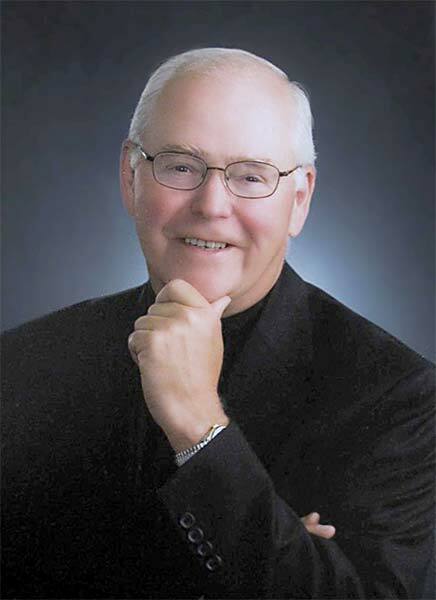 Father O’Brien is a native of Johnstown, PA who was ordained May 16, 1970. He began his journey as a Parochial Vicar to St. Michael in Central Square and St. Vincent DePaul in Syracuse. He then became a teacher at Bishop Ludden High School. In 1975 he became the superintendent of Catholic Schools keeping that post until 1982. His journey then led him to be Interim Associate at Sacred Heart in Cicero and the Rector at the Cathedral in Syracuse from 1983 to 1995. Father O’Brien then went on to become the pastor at Blessed Sacrament in Syracuse. When he left Blessed Sacrament on August 16, 2007 he came to Pope John XXIII (previously known as St. John’s Church). Since he has become our pastor, he was named Vicar for the Western Region of the Diocese. In addition, on December 20, 2012 Bishop Cunningham bestowed papal honors on Father O’Brien elevating him to the rank of Monsignor, naming him a Chaplain of His Holiness.